Departure: Tour starts daily at your location around 9 am. • The price includes entrance fees and motorbikes. 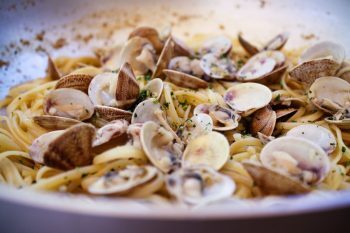 • The price does not include food and drink in the restaurant. 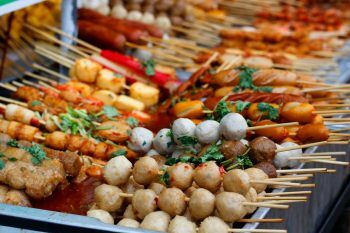 A daily tour brings you great insight into the contrasting lifestyles of Saigon and opportunities for quintessential foods that everyone’s gotta taste. 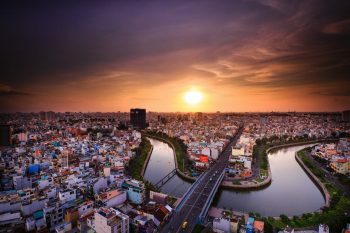 The contrasts of Saigon tour gives you a different picture of Vietnam. 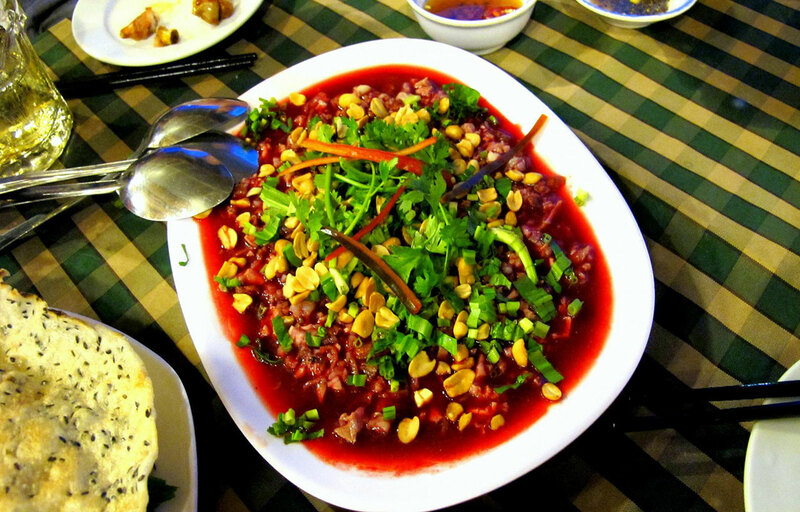 Besides, you should try tasty local food during the journey. Somewhere in the cacophony of scooter and motor vehicle traffic, not far from the modern downtown, many locals still live a more traditional lifestyle, a witness to the drive toward modernisation that is taking place around them. 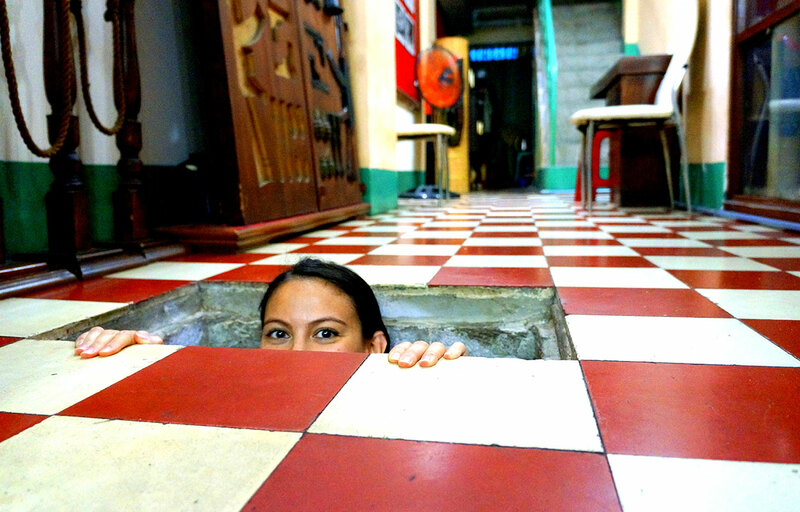 This tour explores the contrasts of living in today’s Sai Gon. 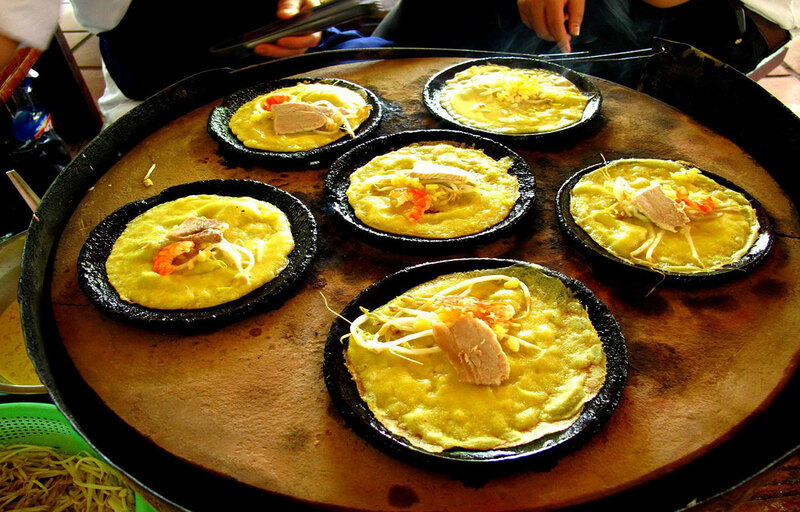 It also adds some gastronomic stops so that you can taste the history, variety and importantly the seductiveness and variety of Vietnamese cuisine. 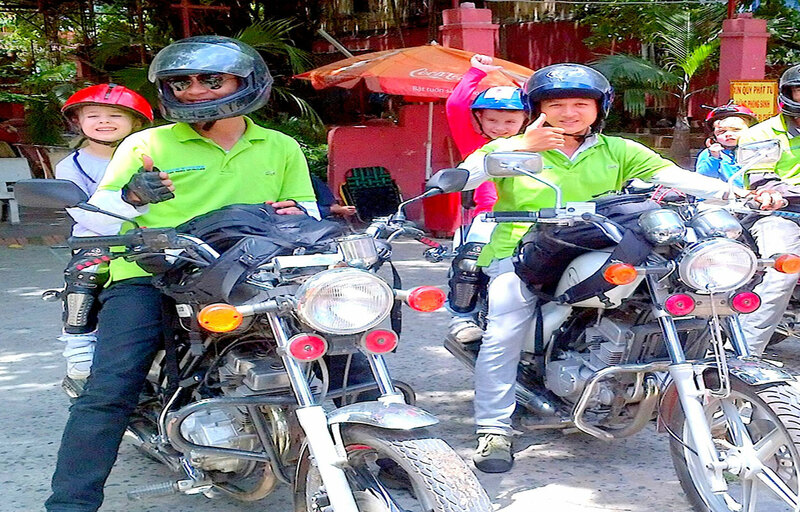 Riding pillion behind our drivers we will take you on a tour of the city that will touch on some of the historical antecedents to modern Sai Gon as well as delving into some of the more everyday traditional lifestyle of the Saigonese. 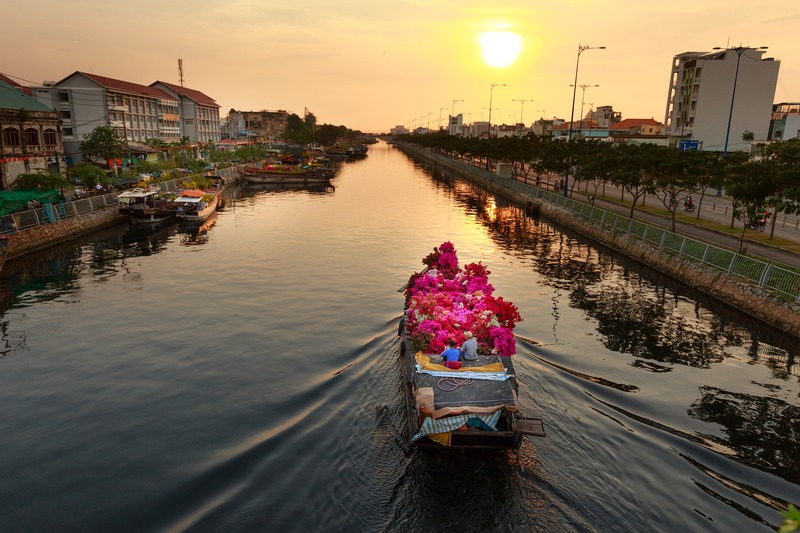 First it will be a visit to heart of the busy wholesale quarter with a visit to Chinatown, known locally as ‘Cho Lon’. Cho Lon is in district 5 and while there we will stop at a church where the first president of South Vietnam and his brother prayed a few hours before being arrested and assassinated. We will also visit an ancient temple, a wholesale market and pass by the biggest motorbike spare parts market. 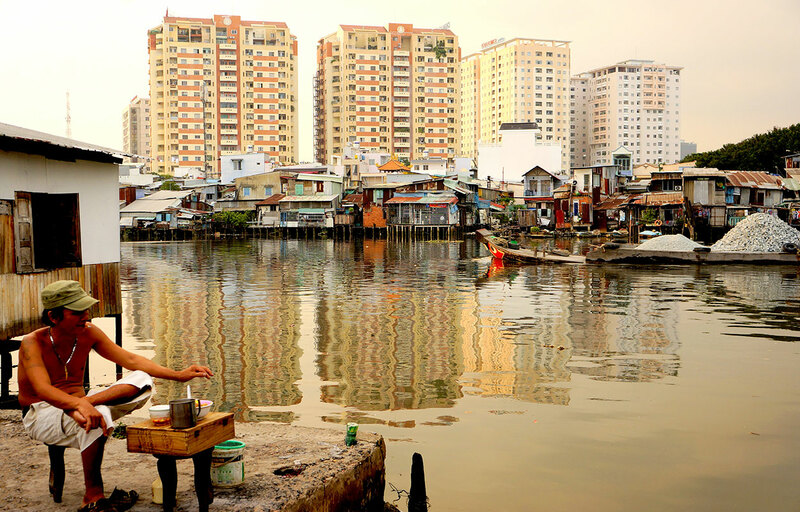 After that we’ll head to District 8 to explore the low land with its many small stilt houses located along the canal to the Sai Gon river. This area is worth exploring to see the way of life for the many immigrants to this city and to see how they go about acclimatising to the conditions here. It will amaze you and will be a real contrast to the comfortable life in a newly built luxury residences in district 7. We stop on the way for a drink and a closer look the local life along the canal before we go back to downtown for lunch with dishes from the former imperial capital cuisine. Whilst previously enjoyed mainly by those at the royal court, the cuisine is now enjoyed by all citizens. Lunch is followed by a visit to the War Remnants Museum, a poignant display of the futility of war. 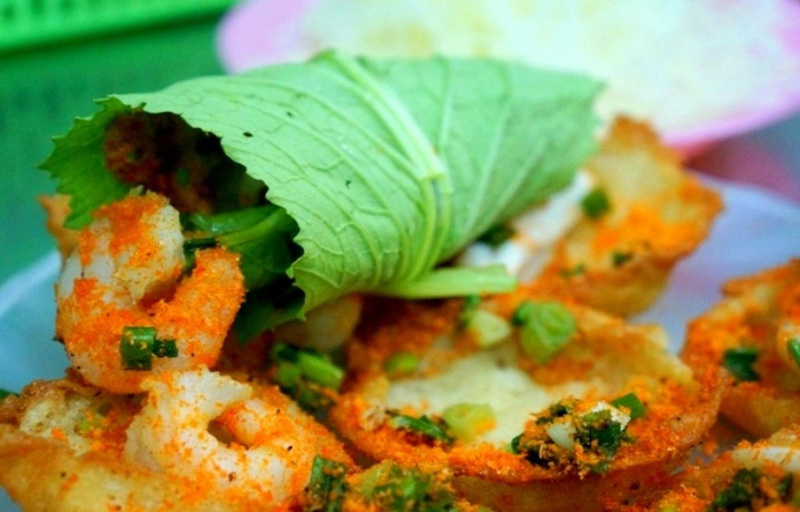 Last stop is to taste some Vietnamese seafood and maybe a little sweet dessert – a la sidewalk in low plastic chairs and tables. Whether you are zooming by on motorbike or sipping designer cocktail at a rooftop bar, there is much to savour and explore in this bustling city. The traffic is always dense, and as rushed as life always is, there are always locals lounging at street side coffee vendors, content to admire the passing free – for – all, watching life go by. This tour requires an adventurous spirit and a strong backside. Sturdy outdoor clothing and footwear is recommended.